I welcome to the table Tasha Hanna and Jim graywolf Petruzzi to update and discuss the truth and how this movement can be supported by all. Tasha is a board member of Sanctuaries of the Earth Mother non-profit. This valuable information is being presented with hopes that you will be inspired to help us protect our invaluable water. Let us protect our fresh water from ultimate destruction. Peaceful protests are happening all over the country; will you join the war? Is ignorance really bliss if all of our food and water are gone? It’s time we step up as a people… One people, one color, ONE blood… We are all brothers and sisters and its time we stand up against the evil in this World – one oil pipeline at a time. This is only the beginning. The peaceful Rainbow Warriors prophecised by our ancestors have stepped into their power and are making the world become aware of what is destroying our planet ecologically and future generations will be non existant if we do not stop now. This is not political stance, standing rock camp. It is just the voices of those who care. People all over the world are lending their support. Time for all t o be heard, to protect the children of the world that is occurring and specifically to discuss the facts of the movement and how it can be supported by all Water is Life is not a protest but a World Wide Movement. 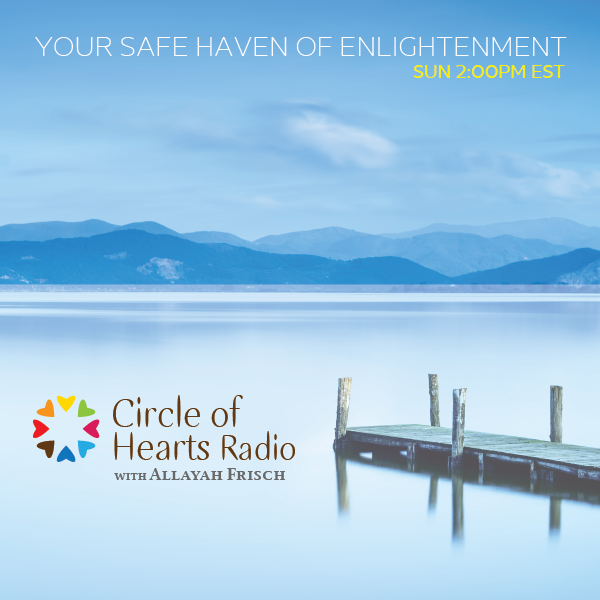 I am very grateful for Tasha Hanna and Jim Graywolf Petruzzi for joining me this Sunday, February 12, to discuss what is occurring there, and what this means for the ecology of the planet, the waters and how the coming to humanity world wide. James Olson joins us in a fascinating discussion of how our brain influences us in ways we may have not considered. Although we’ve been told for decades that we only use a small portion of our brain’s capacity, it is now known that the entire brain is always active in some way. Yet for most of us, only one of our two brain hemispheres is actually running the show. For a majority of people, the left-brain viewpoint serves as our guide. How Whole Brain Thinking Can Save the Future explores the serious crisis we now face because of the left-brain bias in our civilization. Adopting a holistic and interdisciplinary approach, Olson outlines the brain’s role in informing consciousness. He pursues a special focus on problems that result when the two sides of the brain fail to harmonize, such as we experience in mental conflict, both internal and external. Olson posits that each hemisphere houses an “operating system” capable of managing the relationship of the two hemispheres; further, he identifies the genetic mechanism that determines operating-system dominance. On one level, How Whole Brain Thinking Can Save the Future is about the differing perspectives of the left and right hemispheres of the brain, with a particular focus on the effects of “brain dominance” on our How Whole Brain Thinking Can Save the Future, The Split-Brain’s Remarkable Effect on Consciousness and Culture. A practical inquiry into the “operating systems” of the left and right brain hemispheres and their surprising influence over lifestyle, politics, business, and religion lives, culture, and environment. But it is also about our search for truth—about who we are as human beings, and how we can achieve a peaceful world. Scientific research and observation are essential to understanding ourselves, but mere data and analysis lack the crucial dimension of those human experiences, which if cultivated properly lead to wisdom and ultimately to a life characterized by a more holistic approach. How Whole Brain Thinking Can Save the Future explores how we can achieve peace—with ourselves, with others, and in the world—by better understanding the functioning of the brain’s two management systems. When we look at how the brain influences our beliefs, the programming that governs our day-today existence, we see that when our beliefs are limited to the insights of only one hemisphere, they can sabotage even our best efforts to realize our deepest longings and desires. The book also addresses the political polarization that is tearing America apart. If politicians and pundits employed a whole-brain perspective, Olson shows, this would allow them to see the complementary nature of the two sides and ultimately unify the country. In the final analysis, Olson’s discourse shows that the product of the harmonization of the two hemispheres is peace—in all domains. How Whole Brain Thinking Can Save the Future reminds us that we have the freedom to adjust our perception—and our creativity—through our close attention, and by shifting our brain perspectives at will as the occasion demands. James Olson is an integral philosopher whose studies have included religion, art, psychology and neuroscience. He has attended the University of Vienna; Oklahoma University, where he received a Bachelor of Business Administration; and the Kansas City Art Institute. Following the unifying guidelines of philosophy and drawing on his broad education, Olson has made it his mission to help bring the planet’s masculine (dualistic left-brain) and feminine (holistic rightbrain) energies into greater harmony, through his advocacy of whole-brain thinking. Olson’s first book, The Whole-Brain Path to Peace earned several national book awards, including Foreword Reviews 2011 Philosophy Book of the Year. Both Charlie and I continue our series of spontaneous guidance talks from Spirit called Heart to Soul. Please join us and we offer seeds of love and light from our hearts to yours. After a life altering Death experience, Charlie returned to this incarnation very changed. He has integrated his souls higher purpose of service to all life forms on this planet. This radient soul of so many talents offers Soul filled seeds of wisdom thru his inspired poetry and blogs to soothe the hearts of others who are struggling emotionally in these turbulent times of planetary ascension. This Sunday we talk with Tina D’Amore as she has traveled thru many spiritual challenges including Lyme disease and several NDE to reach her soul path today as shaman and healer. I was a sensitive child at a very early age, I found that I could “hear” animals, the wind and the trees speaking… and it surprised me that others could not. At the age of nine, I recognized that I held some healing abilities when I comforted my step-brother, who was sick with a cough and fever. I instinctively put my hand on his upper back and said, “There’s a lot of stuff in your lungs.” He was diagnosed with pneumonia the next day and thankfully, returned to health. I eventually became a public school teacher for young children. After several years in the school system, the Spirit World decided it was time for me to truly pay attention to my Path. I suffered a long, seemingly insurmountable illness. I have not only survived near-death experiences but also feel that I am no longer the person I was before. I see how precious life is and that every moment has the potential to be a miraculous one. This is something I share with each client that comes to me for assistance. I feel especially called to assist those dealing with acute or chronic illness, whether they are physical, emotional, mental or spiritual in nature. I have been trained by those who teach Core Shamanism in North America as well as those who have been trained by indigenous people in other continents. Yet, the commonality of all shamanic societies is our Ancestors. I connect to this Sacred Land we inhabit now, whose Ancestors are the Native People in Maine. In this way, I honor the many ways of holding Ceremony, including traditional Native Ceremony and other ways I have been taught along my Path. I am currently a writer and artist, a Shamanic Healer and Teacher, a Reiki Master Teacher and a Certified Sound Healer. I honor performing ceremony for people, children, animals and land, whether in person or long-distance. People are now choosing hospice as a end of life experience.. to transition at home. Peaces Passages is a complication of hospice experiences by a hospice nurse. Janet Wehr, RN, QTTP is a registered nurse of 22 years who has devoted the last 17 of those years to caring for hospice patients and their families. Presently, Janet works for Harbor Light Hospice, a nationwide organization which provides care to those who are terminally ill and those who are dying. Janet has also been actively involved in the healing modality of Therapeutic Touch for over 20 years and is a Qualified Therapeutic Touch Practitioner. She teaches regularly at the Theosophical Society in America. Janet is a member of the Therapeutic Touch International Association, the American Holistic Nurse’s Association and the Theosophical Society in America. She also sits on the board of directors for Saret Charitable Fund, a local agency which serves the homeless and needy of DuPage County, Ill.
Janet is the author of Peaceful Passages: A Hospice Nurse’s Stories of Dying Well (Quest Books, 2015), which is her first book. Peaceful Passages is a joyful collection of stories about Janet’s experiences in witnessing the death of her patients during her years as a hospice nurse. Her first-hand account gives illuminating and comforting insight into the spiritual aspect of what occurs in the transition between life and death, highlighting the importance of the mind-body-spirit connection as it manifests in the dying process. It also gives a candid impression of hospices and hospice nurses and the services they can provide. All of Janet’s 46 personal stories are true, fascinating, heart-felt, and thought-provoking. Through her authentic examples, readers gain understanding, hope, and a sense of peace about what is, after all, an inevitable experience for us all. And with that sense of peace, comes joy. Janet was born and raised in Dearborn Heights, Michigan, but has lived most of her life in the suburbs of Chicago. She is married and has three grown children, two stepchildren and eight grandchildren! Janet’s passions include nature, gardening, family time, reading and enjoying the solitude of the cabin in the Wisconsin wilderness that she and her husband built together. Peaceful Passages: A Hospice Nurse’s Stories of Dying Well at Quest Books, Amazon, Barnes and Noble and multiple other booksellers. Standing Rock and Beyond - Water is Life! This Sunday, I welcome to the table Jim Graywolf Petruzzi and Adam Dubbin of the water movement in Florida to update and discuss the truth and how this movement can be supported by all. The peaceful Rainbow Warriors prophecised by our ancestors have stepped into their power and are making the world become aware of what is destroying our planet ecologically and future generations will be non existent if we do not stop now. This is not political stance, standing rock camp. It is just the voices of those who care. People all over the world are lending their support. Time for all t o be heard, to protect the children of the world that is occurring and specifically to discuss the facts of the movement and how it can be supported by all. Water is Life is not a protest but a World Wide Movement. I am very grateful for Jim Graywolf Petruzzi for joining me this Sunday, to discuss what is occurring there, and what this means for the ecology of the planet, the waters and how the coming together of humanity world wide. On dec 18th we join with Dr. Stewart Bitkoff discussing the concept of the premise that you make a better world by making better people, one person at a time. If we wish to create a peaceful change in the world we need to be responsible for our actions and how we project our energies into the world. The world is a real mess right now; people are searching for answers and a way to ease their fear and help make things better. Better People= Better World. My paper, The Sufi Call, Making a Better World centers on the premise that you make a better world by making better people, one person at a time. Dr. Stewart Bitkoff, spiritual traveler is an advocate of Sufi mysticism and the perennial philosophy. Professionally specializing in the healing applications of therapeutic recreation, psychiatric rehabilitation and mental health treatment; he holds a doctorate in education and served on the faculties of multiple colleges and universities. Sufism for the Western Seeker, published in 2011, was nominated by ‘Foreword Magazine’ for Adult Non Fiction Religious Book of Year Book of the Year Award, placing 4th (honorable mention) and is a must read. This book chronicles learning in 2 modern western Sufi schools and is available through Amazon or at local bookstore. A frequent contributor to online venues like: Waking Times, Wisdom Magazine, New Age Journal, Ezinearticles.com, Witchvox.com, Mystic Living Today, New Age Spirituality, Waking Times, Philadelphia Spirituality Examiner and spiritual blogs. Follow him on Facebook and his blog. Other books by Dr. Bitkoff: A Commuter’s Guide to Enlightenment, Llewellyn, 2008; Journey of Light: Trilogy, Authorhouse, 2004; The Ferryman’s Dream, Abandoned Ladder, 2012; Beyond The River’s Gate, Abandoned Ladder, 2014; The Appleseed Journal, Abandoned Ladder, 2015; these books are available through Amazon.com or local bookstore. We bring the energy of Divine Mother Mary to the airwaves thru fully body channel Danielle Gibbons. Join us for a deeply touching show with author and channel Danielle Gibbons as she shares her experience channeling Mother Mary and the joys and difficulties of her own pathway to love. Mother Mary will speak through Danielle to offer Her love and wisdom to all. Danielle Gibbons is known as an engaging and inspiring speaker. She brings her devotion and humor to her many public appearances, helping people feel at ease and welcome in preparation of receiving Mother Mary’s presence and blessing. Danielle has served Mother Mary since 1994. Her own very human struggle with the obsession of addiction and emergence back into the joy of living makes her ideal in this service. Her willingness to honestly share her experiences both past and present, gives people hope that no matter where they find themselves in their lives, they can benefit from Mother Mary’s teachings. Mother Mary has served humanity for thousands of years. As Divine Mother, Her grace, wisdom, and loving guidance encourages millions to love themselves as She does, unconditionally. Together, they inspire individuals to awaken and expand their consciousness through best selling courses, life changing retreats, and on-line events. Mother Mary’s Pathway to Love is their first book together. We have all heard about the myths of Dragons. What are they really and how do they relate to us. This Sunday, I am excited to have my friend Liz Hamilton back from Australia. She is going to give us some indepth perceptions on dragon energy, as creational energy and our dragon Nature. This show is just a sampling of her larger dragon workshop. Tune in and also experience a guided meditation by Liz. Liz Hamilton was born in Massachusetts, USA, and came to Sydney, Australia in 1975 and married her husband Patrick McDonald. She worked for over 35 years in the field of teaching creative cultural lessons in the arts to teenagers with intellectual disabilities. Patrick McDonald was born in Maine, USA, and, after traveling extensively through Europe and India, came to live in Sydney, Australia in the beginning of 1973. There he met his wife, Liz, while they were working together in the field of helping those with intellectual disabilities. Patrick has a background in teaching, healing, spiritual philosophy, English literature and poetry. He specializes in intuitive thinking as a spiritual path. In 2010 Liz Hamilton and Patrick McDonald moved to the beautiful Blue Mountains in Leura, New South Wales (Australia) to open a healing centre out of their home. The centre is named ALASENMAT, which means ‘Walk around with Light’. Liz has a deep love and experience of nature, crystals, angels, and sound. Liz developed her own healing modality which she named ‘Cosmic Radiance’, bringing harmonic balance through crystal, sound and energy healing. Meditation classes and workshops are offered by Liz Hamilton on a wide range of spiritual topics. In 2012 Liz published a book titled Collective Cosmic Consciousness of the Crystal Skulls: Experiences of the Mystery of Initiation, which chronicles her journey of exploration into the fascinating phenomenon of crystal skulls. Liz is a custodian of a rare collection of over 144 crystal skulls ranging from exquisite quartz and different mineral skulls from Brazil and Nepal, eight ancient stone skulls from Western Tibet c. 500 BC, three old Tibetan Dorje Buddhist Temple crystal skulls, a Peruvian shamanic quartz skull, eight old jade chi skulls and jade skeleton, and two old calcite skulls said to be from the Gobi region in Mongolia. The book Collective Cosmic Consciousness of the Crystal Skulls: Experiences of the Mystery of Initiation is available for sale at the ALASENMAT website.